Domain name types (internet domain name extensions) & domain information. 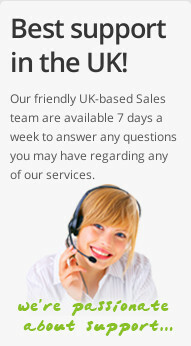 We offer a range of different domain types to give you a wider selection to choose from. All of the different domain types that we provide are listed below along with brief domain information, rules and domain name cost... just to make deciding on a domain name type even easier for you! Amongst the generous number of internet domain names we provide are gTLD domains (generic Top Level Domain) such as .com, .org, .london, .club, and ccTLD domains (country code Top Level Domain) such as .uk. You'll find that the list below has different domain extensions, so why not have a read through and find out more about domains and low cost registration prices today? As a consequence of the UK leaving the European Union, we no longer sell .eu domains. Read more information on EU domains and Brexit. Please note: The domain registration prices shown on this page are ex. VAT. Here is our guide to the various top and second level domains you can register at GetDotted.com. You are strongly advised against registering somebody elses name or a trademark unless you have the owners permission to do so. Such registrations may be treated as 'abusive' by the domain registry or ICANN and in the case of objection by a third party, the domain name could be legally removed from you without compensation. Some general advice when registering a domain name is given below. Avoid offensive names and other people's trademarks. New domain names must be three letters or more and consist only of A-Z, 0-9 and dashes. 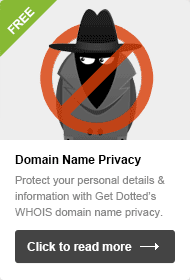 If a two word name such as domainname.com is not available, consider hyphenating it as domain-name.com. If your surname, for example honeyford.com, is not available, consider the plural honeyfords.com. You can register as many domain names as you like. If you don't want them later, just let them expire. 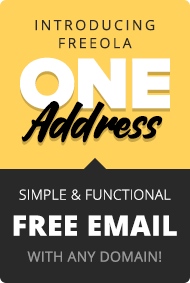 With a domain name you have the world wide web at your finger tips, whether you're interested in starting a domain name portfolio, setting up a unique e-mail address or launching a personal blog or eCommerce site, the possibilities are endless! Check out our What is a Domain Name? page for more ideas of how to utilise your new domain!